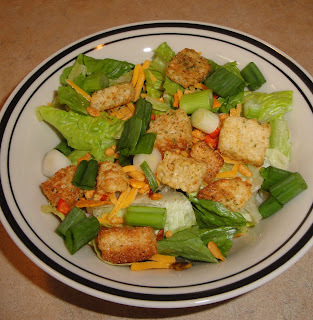 I was glad to see spring, but its been hot and sticky here.Fresh salad sounds good on a hot day. I don't have a garden, so off to the grocery store. Bought a few things so I can toss this salad together in no time at all. It's quick and easy. This serves as a yummy side dish. Also good on its own. Makes a great lunch. I miss my moms vegetable garden. I remember many days I was in the garden with mom, it was fun! Moms garden was huge. We lived in a small town, so we knew everyone. Often mom would have to many veggies, she would give our neighbors a bag of veggies. Then she would walk over to grandmothers house with a bag of veggies. If I had a garden, I'd grow more veggies then I needed, so I could give the extra veggies away. Serve as a wonderful side dish to grilled chicken, roasted chicken, this would go with anything you desired. Good on its own. The Versatile Blogger Award... I am very excited and honored to be awarded! I would like to take a moment and thank http://www.bromography.com for this honored. Please take a moment and visit Bromography. Wonderful blog! If yes, what are you growing? I'd love to hear from you, please leave a comment below. 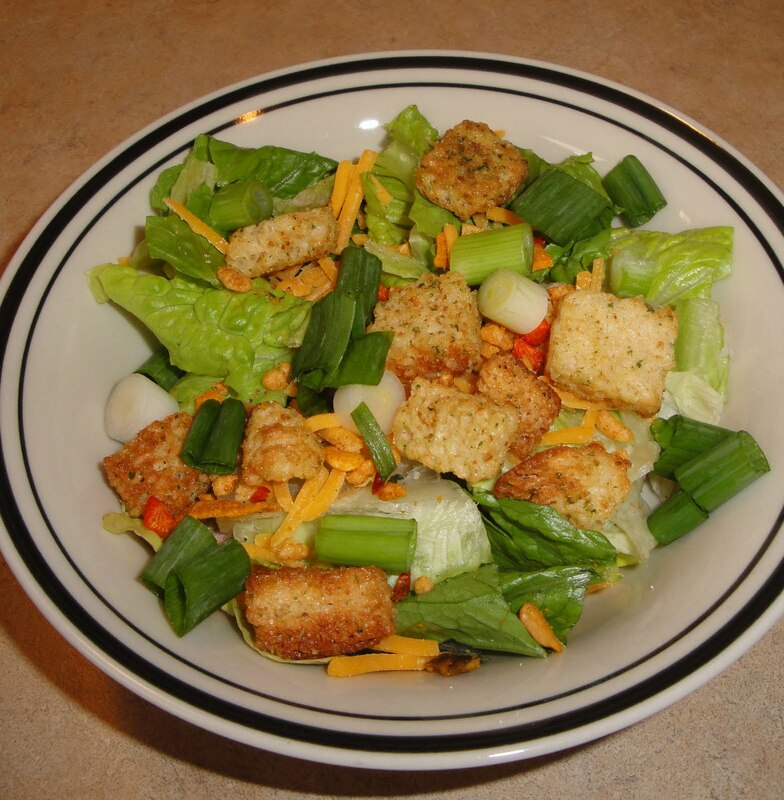 In a large bowl, add mix salad greens, green onions, walnuts, cheese, croutons, southwest salad toppers, salt and pepper. Toss together. Drizzle dressing just before serving or serve dressing on the side. Enjoy! Yummy and colourful! The recipe looks very inviting. Salads are always welcome for everyone, thanks for the recipe. Perfect for summer:). looks yummmmm. I love vegetable gardens and cannot wait until I have my own too! Your salad looks great...definitely perfect for warm summer days! Hi Mehjabeen Arif, welcome! We are so happy to have you here. Come back and visit. I will visit your blog. Thank you for stopping by. I'm always in agreement with a nice fresh salad, walnuts turn it into a meal in itself. Congratulations on your award, you deserve it, you have a lovely blog. Hi Chris's Gourmet Fashion, thank you so much! You have a lovely blog too. Christine~ Thanks for stopping by my blog! I have been on a serious salad kick lately too. This warmer (or should I say hotter) weather really has me craving light meals like salads and sandwiches. I can image the crunch of those garlic croutons. Nice dressing. Sadly no garden for me this year. I'm impatiently waiting on the Farmers Market. Lovely post although it has made me hungry just as I'm about to go to sleep. Whoops! That is a nice salad recipe. Most of the days we (me & my wife at home) go only on salad and specially on weekends. We are experimenting with different kinds all the time. Thanks for vising me, following my blog and for the nice comment. Hi Sailor, thanks so much. Great summertime salad! Thanks so much for sharing Christine! should you aren't already. Cheers!